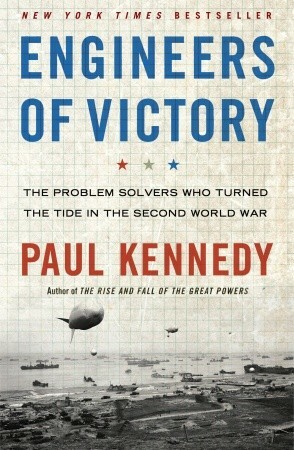 In Paul Kennedy’s most recent book, “Engineers of Victory: the Problem Solvers who Turned the Tide in the Second World War,” we read about how in addition to the larger-than-life figures (Churchill, FDR, Stalin, Hitler, Douglas MacArthur, Yamamoto etcetera) who bestride almost every account of that conflict, along with the many fortuitous events both large and small, there is the much less known contributions of the engineers who devices, vehicles, and infrastructures was also a big part of how that war was resolved. …calls attention to the way “small groups of individuals and institutions” surmounted seemingly insuperable operational obstacles to enable Roosevelt, Truman, Churchill and Stalin ultimately to grasp the laurels for an Allied triumph. “Engineers of Victory” achieves the difficult task of being a consistently original book about one of the most relentlessly examined episodes in human history. Unlike most studies of the war, this one is not primarily about politics, generalship or battlefield glories. References to the Big Three are few. Instead, like an engineer who pries open a pocket watch to reveal its inner mechanics, Kennedy tells how ­little-known men and women at lower ­levels helped win the war. It’s a military truism that amateurs talk strategy while professionals study logistics. Two engaging new World War II histories remind us why logistics matter more. Paul Kennedy’s Engineers of Victory: The Problem Solvers Who Turned the Tide in the Second World War explains how Allied scientists, technologists and industrialists improvised and innovated their way to give their armed forces a fighting chance. 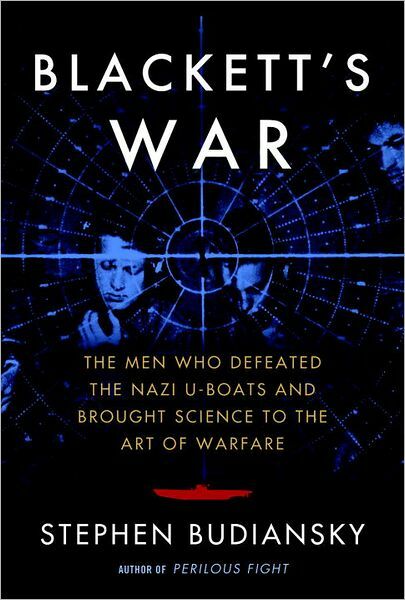 And Stephen Budiansky’s Blackett’s War: The Men Who Defeated the Nazi U-Boats and Brought Science to the Art of Warfare tells the little-known story of an obscure British physicist who applied extraordinary skills in technology and organizational management to transform the Allied war effort. Disciples and devotees of “strategic thinking” might find both books humbling. They should. In wartime, logistics eats strategy for lunch. Kennedy and Budiansky cast their lead characters as chief innovation officers who struggle to manage bureaucratic battles even as they oversee life-and-death conflicts between Axis and Allied supply chains. In this competition, disrupting enemy supply chains often proves more important than protecting one’s own. For Kennedy, an academic grand strategist who authored the best-selling Rise and Fall of the Great Powers, this is an opportunity to turn pro. Chapters are themed to the military’s most daunting challenges: How to Get Convoys Safely Across The Atlantic; How to Win Command of the Air; How to Advance on an Enemy-held Shore, etc. These painful tales of iteration and adaptation mock Clausewitz’s famous aphorism: “Everything in war is very simple, but the simplest thing is difficult.” In World War II, nothing was ever simple. What mix — or system — of technical, tactical, doctrinal, organizational, and analytical ingredients made the Allied victories possible? What leadership qualities conferred competitive advantage for more than a battle? While comprehensively informed, Kennedy’s answers are inflected by his lofty strategic perspective. But the closer one examines the logistical innovations, the more they overshadow grand strategy. By contrast, the more closely one looks at Patrick Blackett, the more impressive he appears. From anti-aircraft gunnery to anti-submarine warfare, strategic bombing and the atomic bomb, Blackett was at or near the center of Allied military design, doctrine, and decision-making throughout the war. This British naval officer turned physicist (he went on to win the Nobel Prize in 1948) transformed every military service he counseled through the clever, interdisciplinary application of simple mathematics, experimentation, and data-driven advice. Tall, handsome, and blessed with command presence, Blackett led by example. His influence derived not just from an intimidating intellect and style but a genius in making his analyses, experiments, and proposals palatable to his military colleagues and collaborators. He made others think better. He inspired insight. It’s interesting the Sun Tzu emphasized so much on the importance of logistics on warfare in ancient China too. So I guess many basic principles don’t change that much over time!